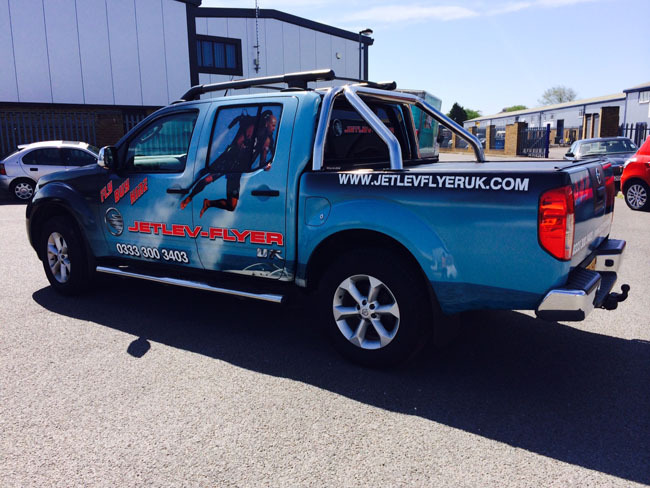 Vehicle wraps are an excellent method of advertising, and Signtek have wrapped many vehicles in Eastbourne and East Sussex. 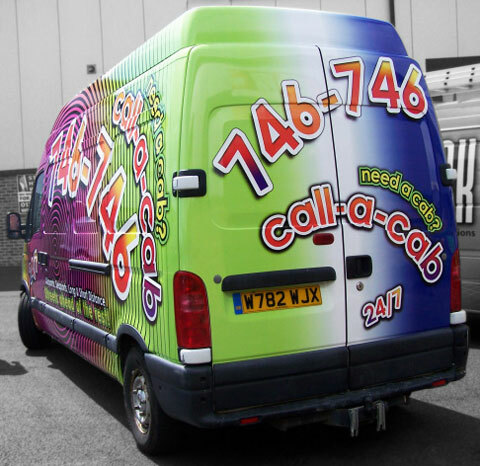 Compared to the cost of newspaper and traditional advertising, vehicle wraps are extremely cost effective! 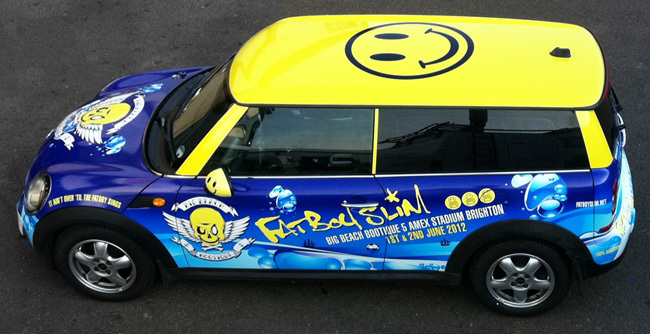 We wrapped a small fleet of vehicles for Fatboy Slim (aka Norman Cook), to advertise his Big Beach Bootique concert. 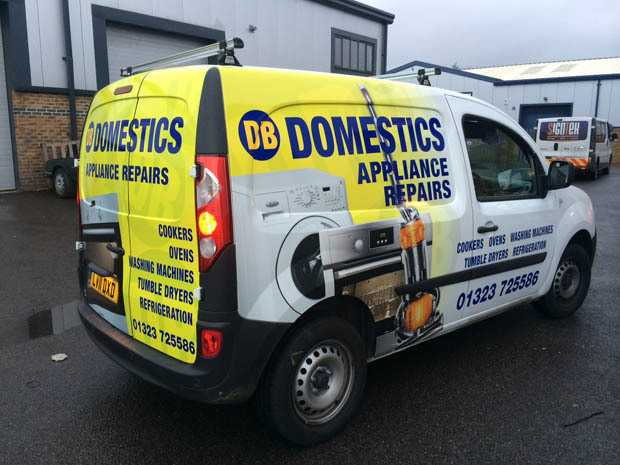 He was made up with them, these vehicle wraps are now all over Brighton! This is a white Lotus Evora racecar, completely vehicle wrapped for the British GT. 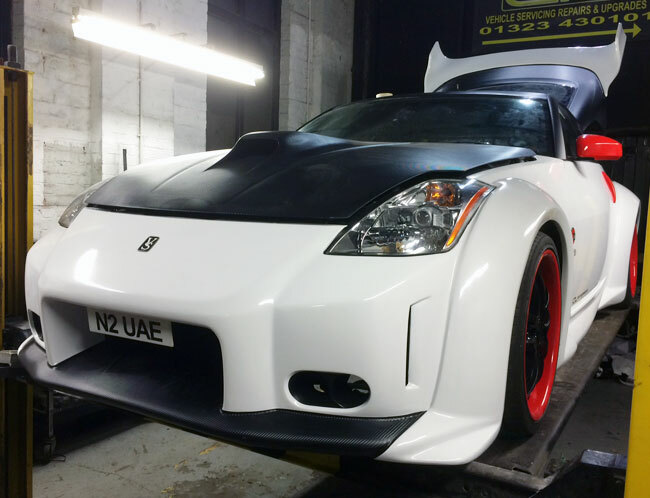 We got the call at 5.15pm, and at 7.30am the next morning had begun wrapping the car - one 20 hour shift later, the car was on route to the Nurburgring in Germany, where it qualified for the British GT in the fastest time! 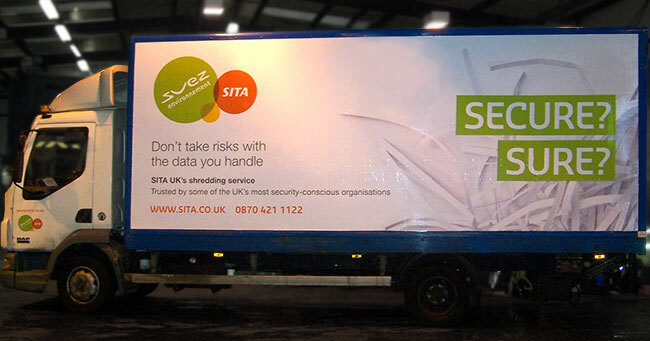 We have wrapped fleets of vehicles for Sita, one of the largest waste management and recycling companies in the UK. 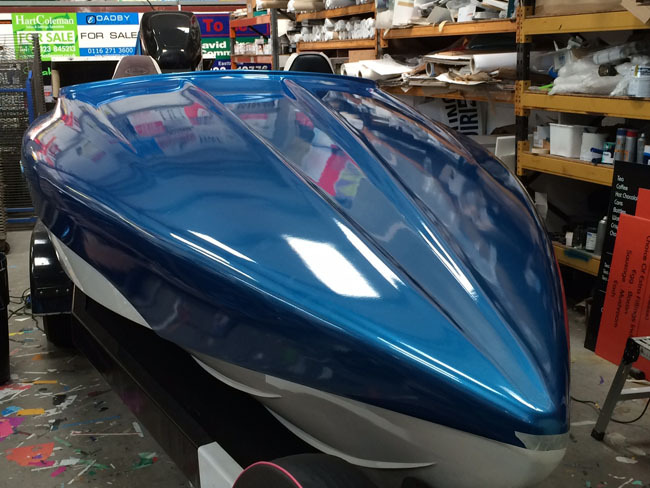 Shown here is just one of the most recent wraps. 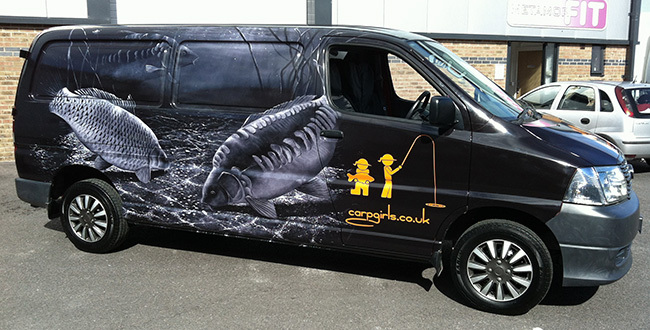 We designed and installed this fishy wrap for Carp Girls, nationally recognized and sponsored anglers. They were made up with the striking results. 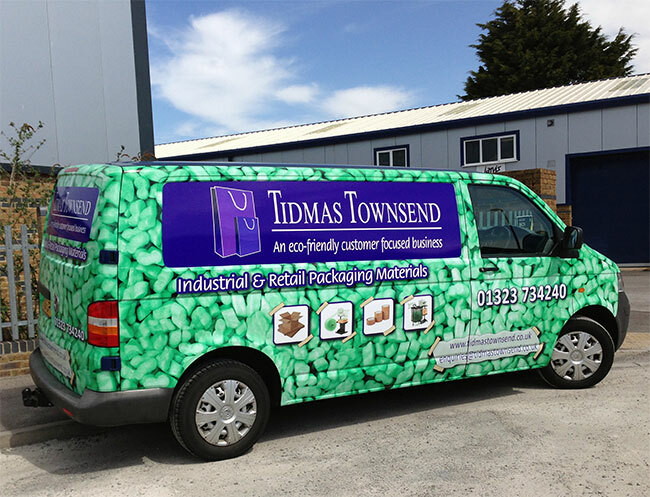 One of several vehicle wraps for Tidmas Townsend. 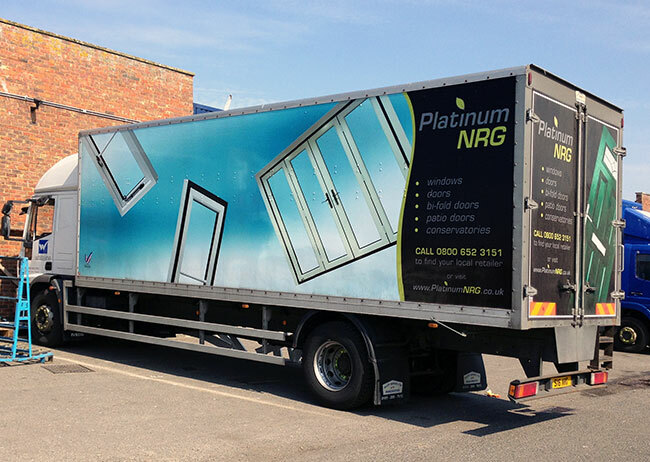 We have wrapped many lorries such as this one for Platinum NRG, for their fleet seen throughout England. 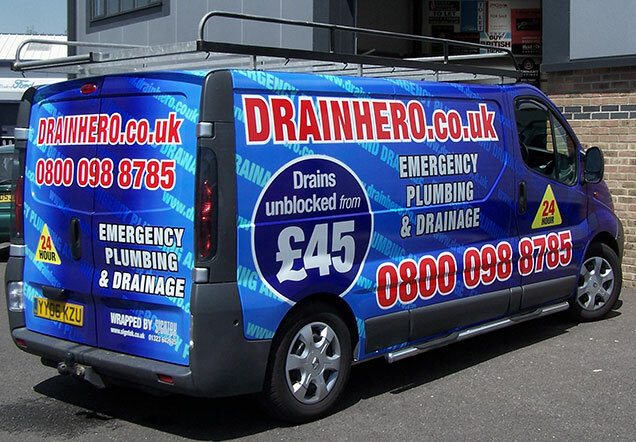 Drain Hero's colourful vehicle wrap can often be seen driving around Sussex. 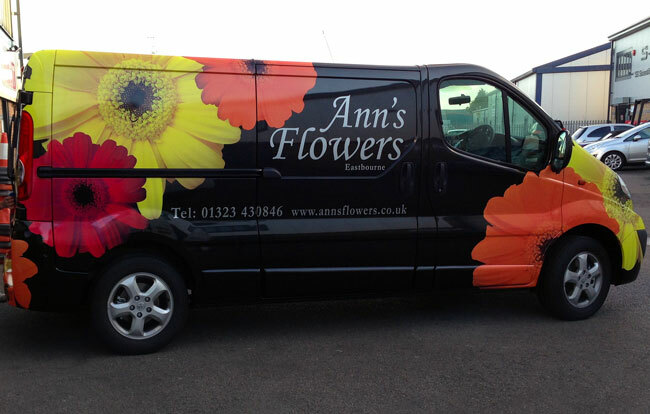 We designed and installed a half-wrap for local florist Ann's Flowers. They won't be missed in this stunning bright design! 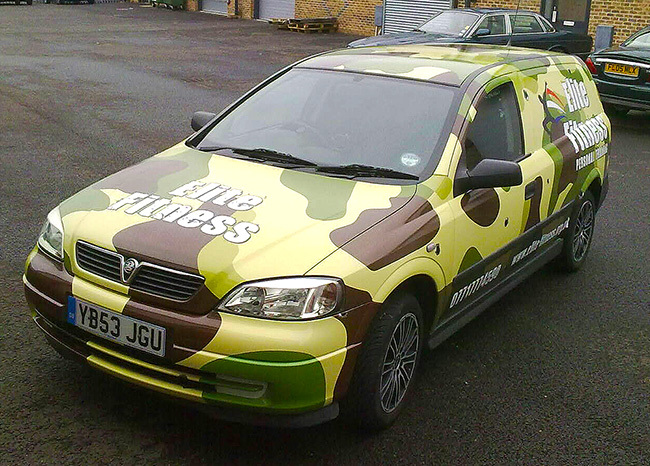 This is an outstanding vehicle wrap with some brilliant contrasting colours. 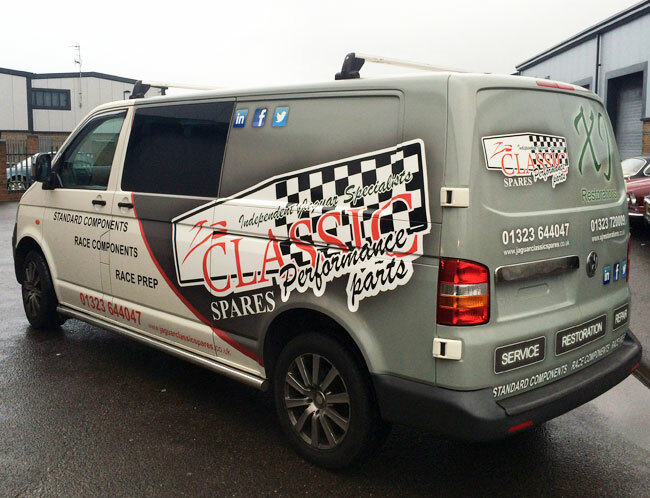 We wrapped this van for a nationally operating Jaguar parts company, they were made up with the result. 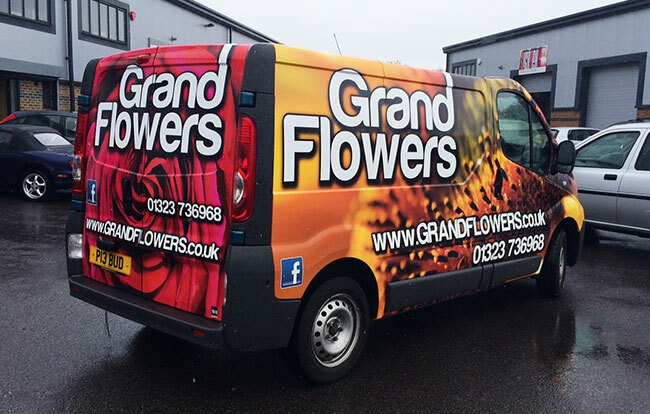 This vehicle wrap for Grand Flowers is brilliant and stands out on the roads! 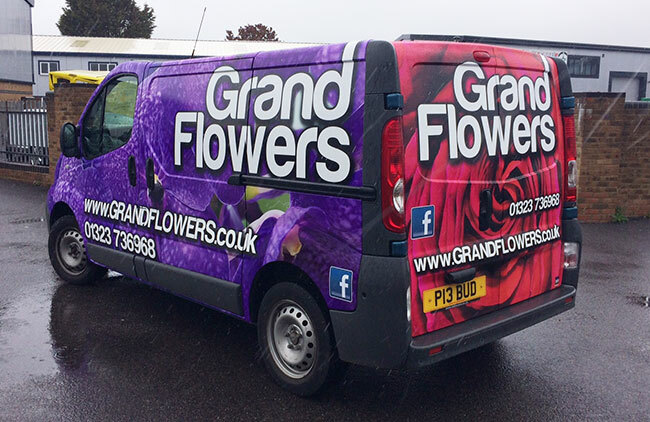 This is a beautiful vehicle wrap for Grand Flowers. 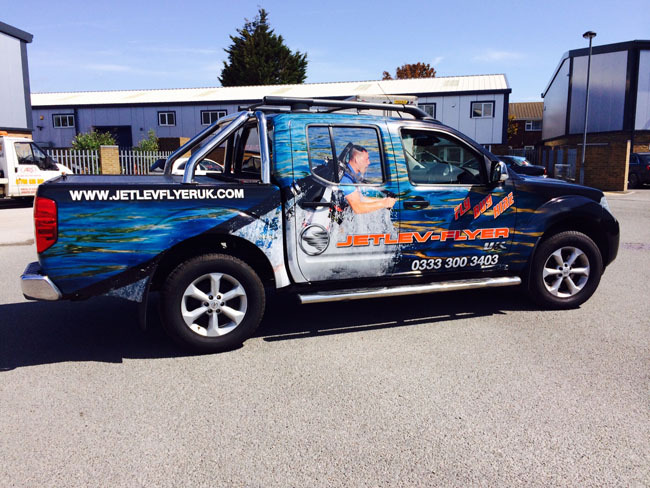 We wrapped this truck for awesome extreme sports company Jet Lev! 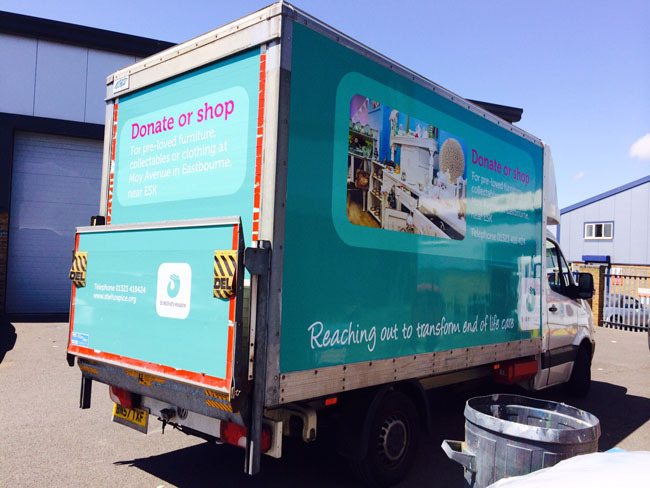 We wrapped this truck for St Wilfrids Hospice. 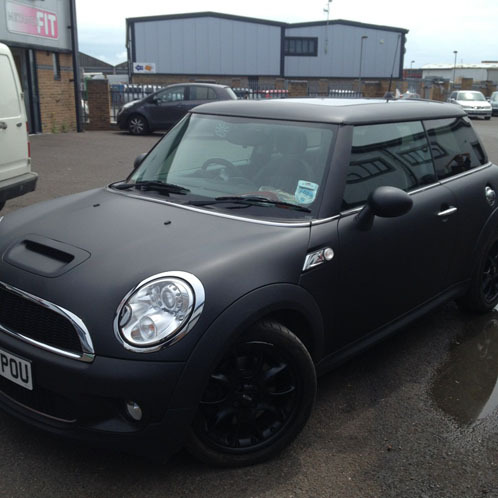 We wrapped this gloss black mini, turning it into matt black! It looks fantastic. 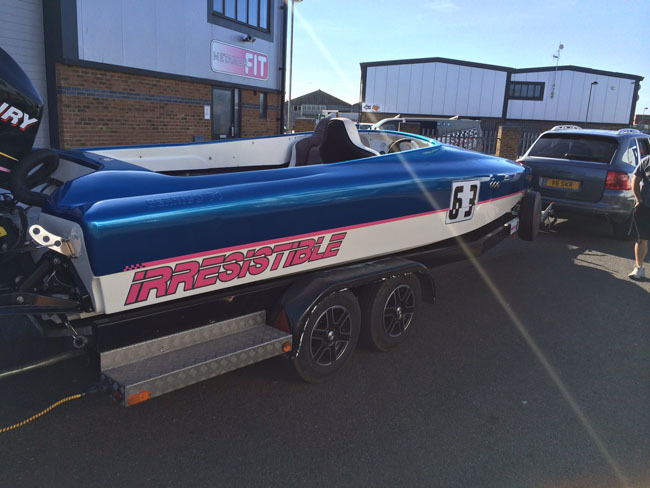 We don't just wrap cars and vans - we wrapped this beautiful speedboat in a gorgeous metallic finish! 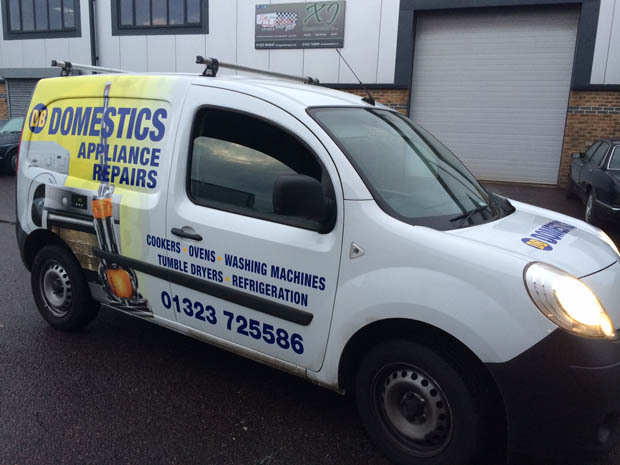 This vehicle wrap is seen all over Eastbourne and East Sussex. 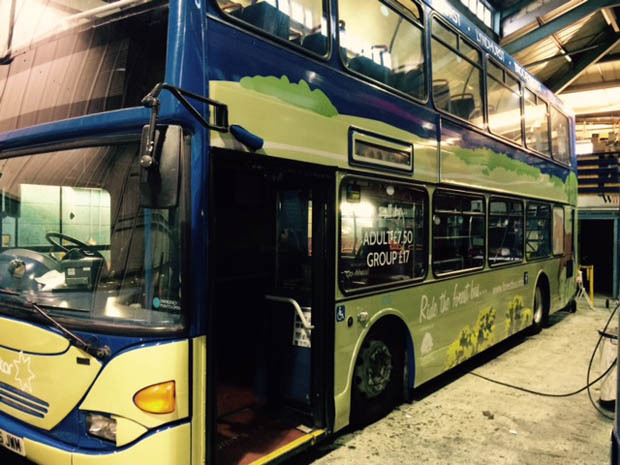 It is striking and in your face, and has worked wonders for the company! 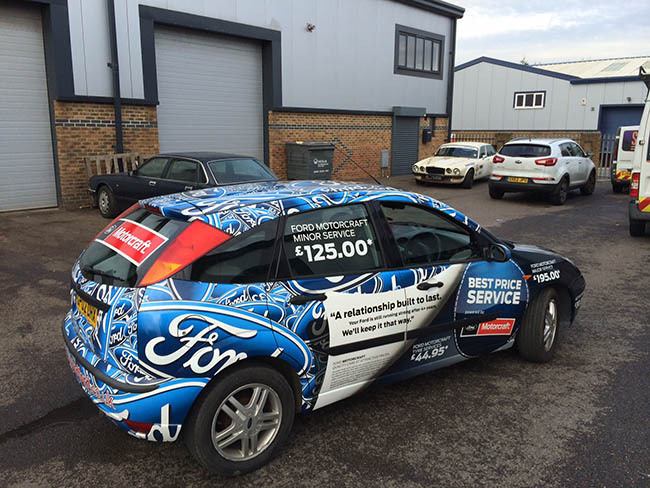 This vehicle wrap is seen all around East Sussex and has worked wonders for this taxi firm. 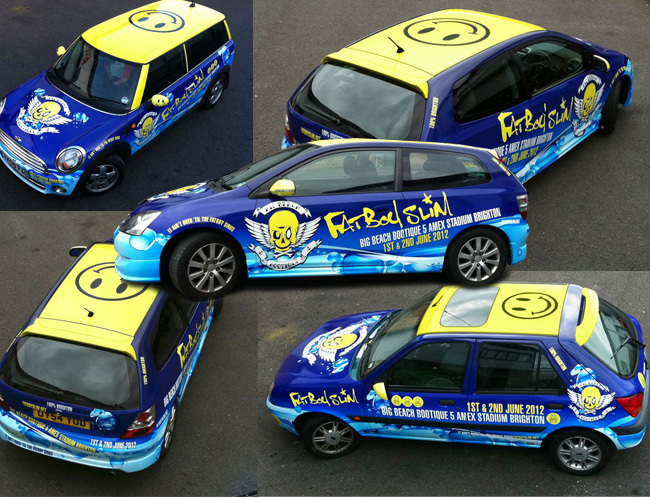 No one can miss this amazing Eastbourne based vehicle wrap. Having a different design on both sides gives double the exposure. 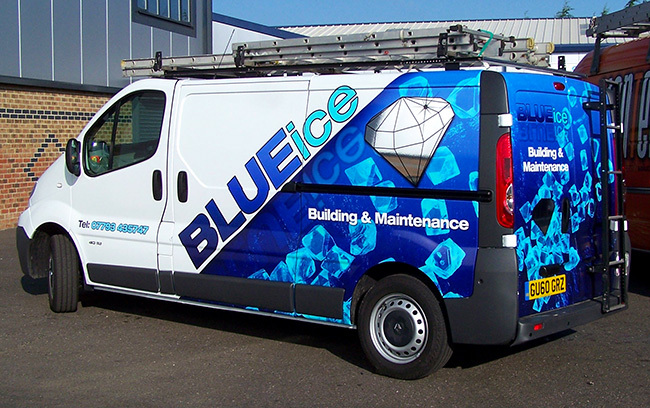 Blue Ice are an Eastbourne based firm, who wanted to revitalise their image with an eye catching vehicle wrap. 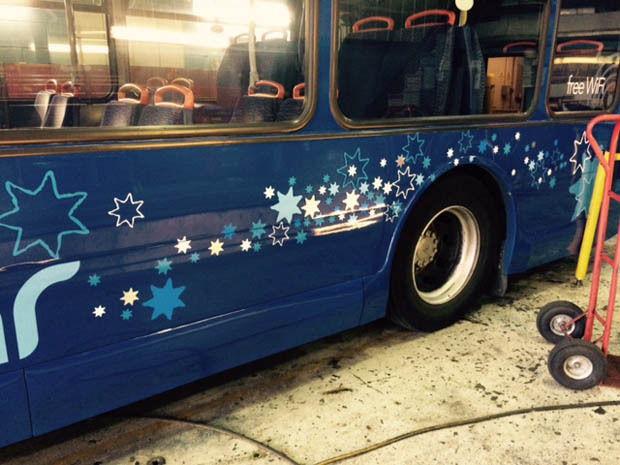 The result is a brilliant blue wrap, which is seen all over Eastbourne. 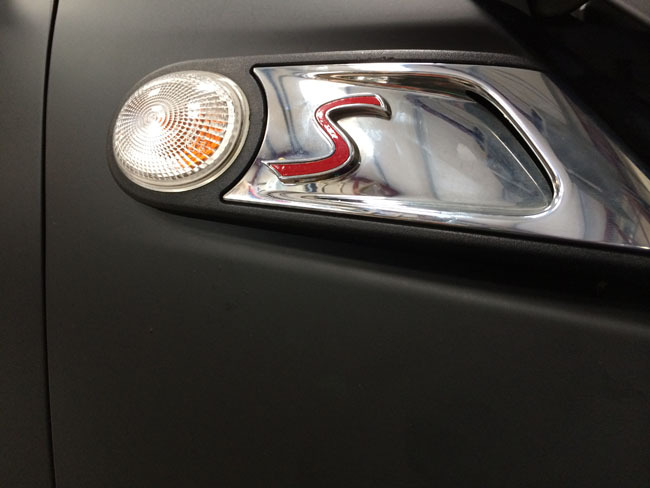 The diamond logos are done in chrome silver, for extra punch! 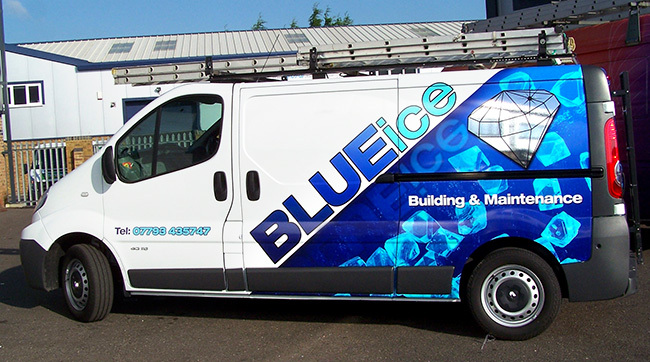 This van is completely wrapped, including a roof wrap, and really stands out. 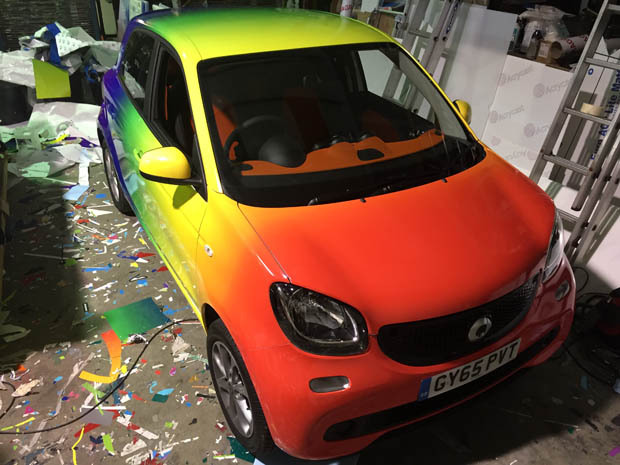 Please note how the colours on the roof and bonnet match up with the sides - most firms wouldn't put as much effort into a vehicle wrap, but we pride ourselves on our attention to detail. 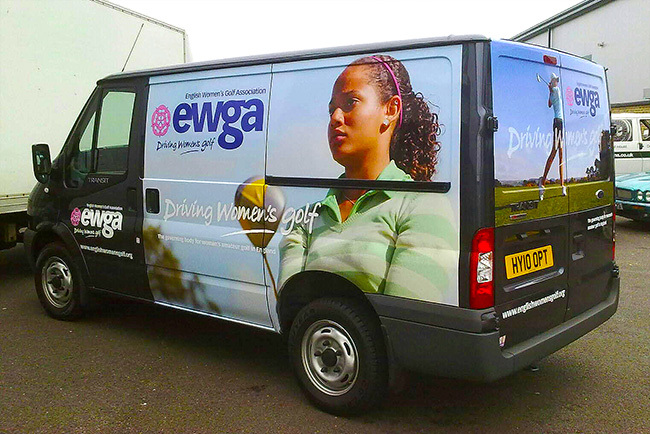 This vehicle wrap is for the English Women's Golf Association. 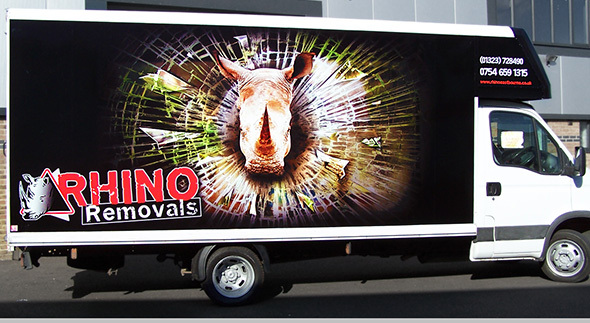 It is a partial vehicle wrap and accompanied the official van on it's nationwide tour. 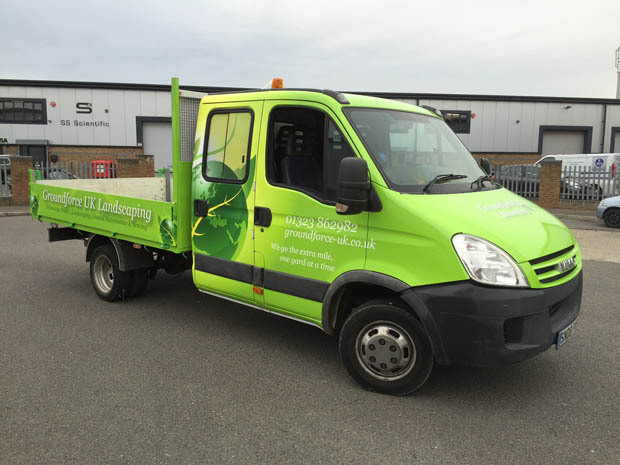 This is one of many vehicles we have wrapped for East Sussex based computer firm Greenlight Support. 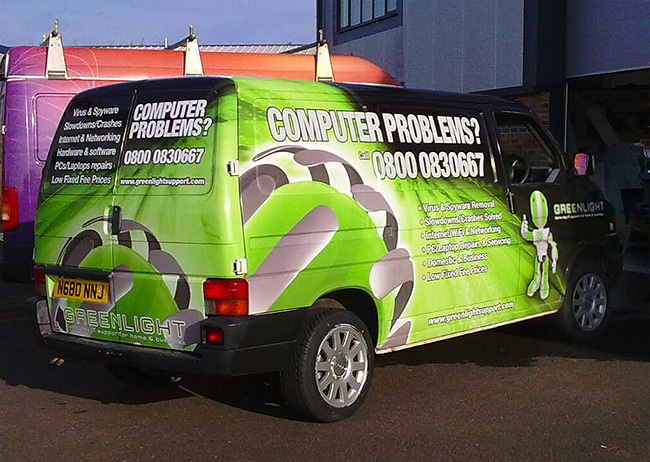 This is another vehicle wrap for Eastbourne IT company Greenlight. 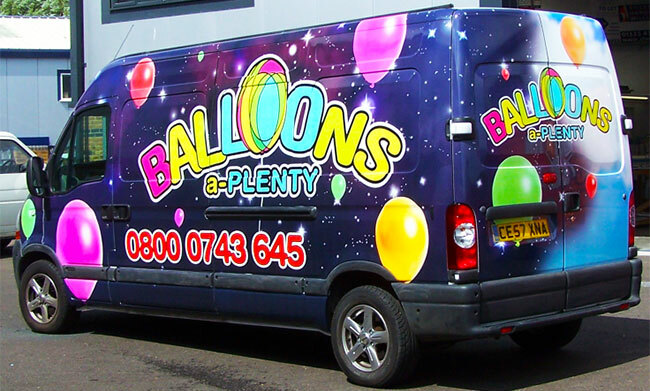 This is an amazing vehicle wrap for an East Sussex balloons company. 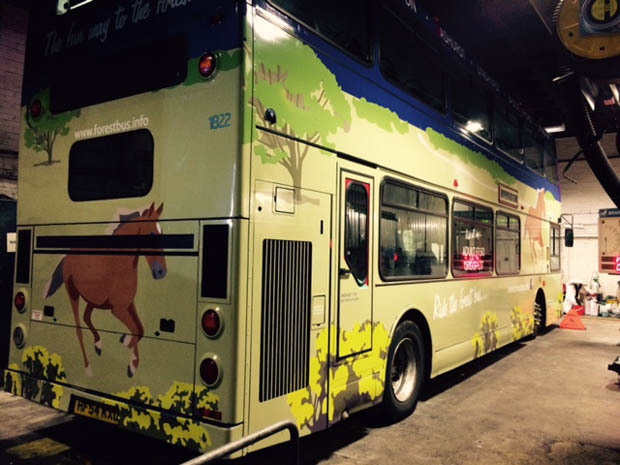 With different designs for each side (night on one side, day on the other), this vehicle wrap grabs people's attention twice. 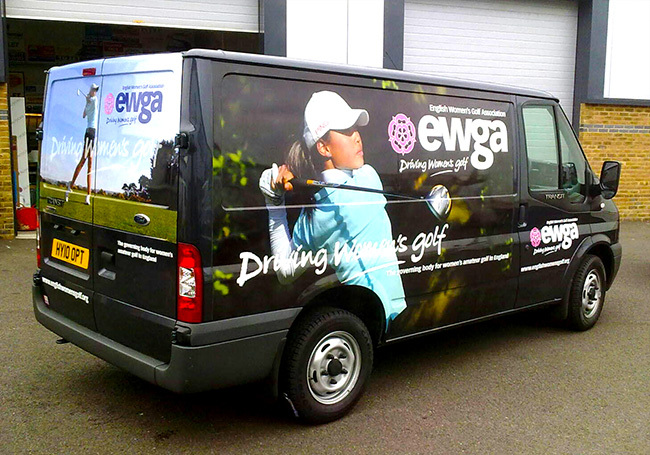 This is a matt black wrap for an Eastbourne based company. 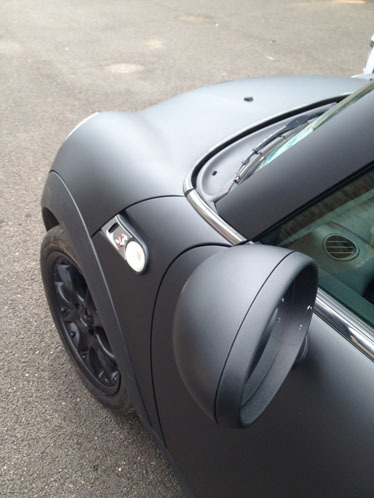 Wrapping cars and vans in matt black is a new fashion, and it makes your vehicles look really different! 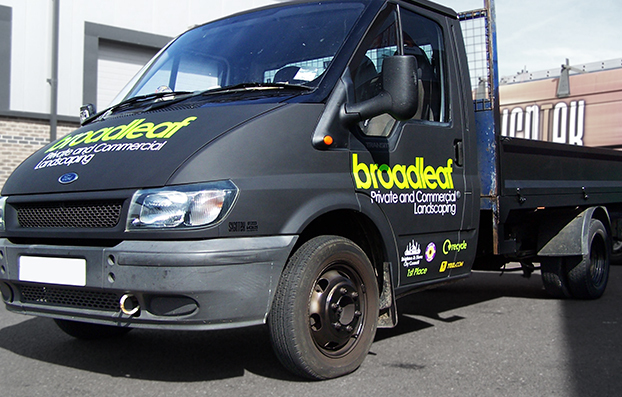 We have wrapped 3 vans for Eastbourne's Greenlight IT Services. 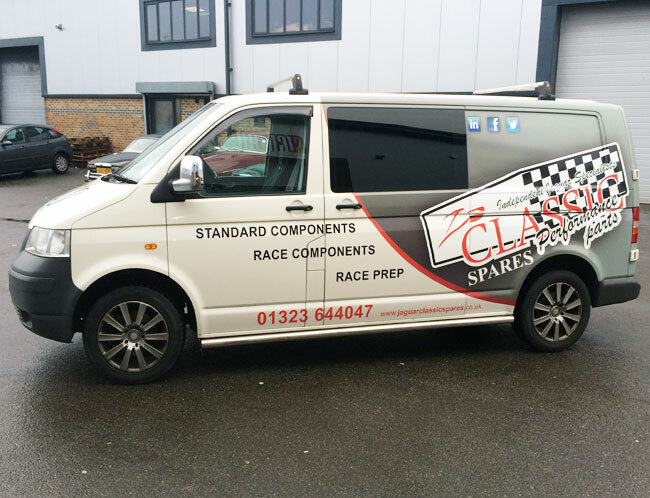 They keep getting vans wrapped because they know what a cost effective marketing tool vehicle wrapping is! 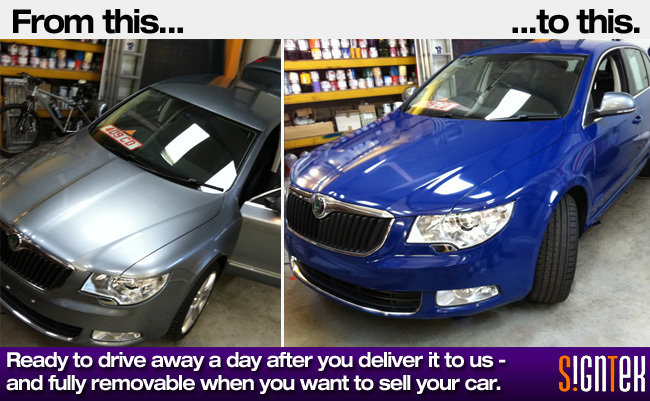 We wrapped this taxi for Sussex Cars. 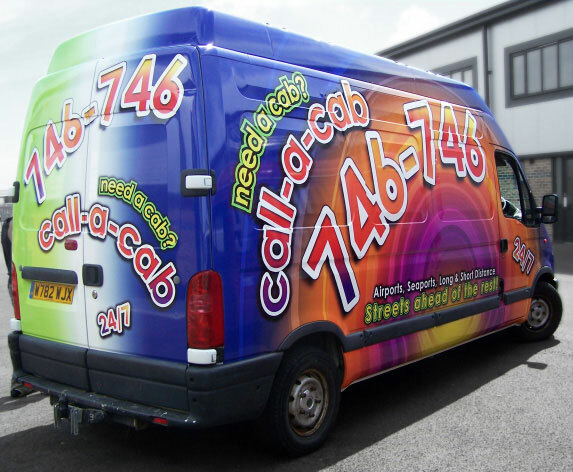 Taxi wrapping is a fantastic way of getting your advert seen - the taxi drives around all day in different places, so you end up receiving a huge amount of exposure! 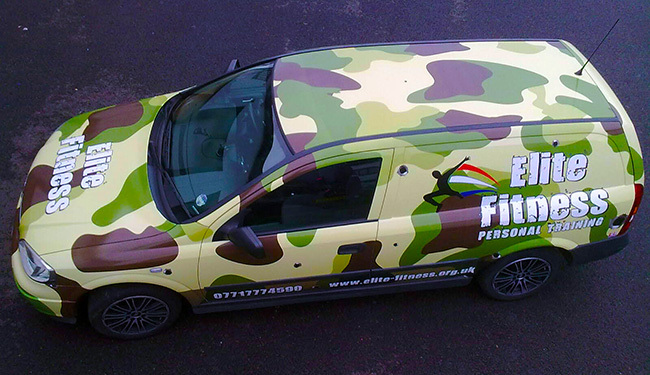 Call us for a free quote for vehicle wraps in East Sussex. 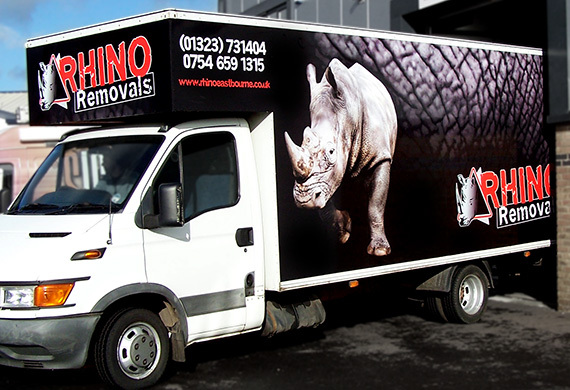 This is a Luton van wrap for Eastbourne's Rhino Removals. 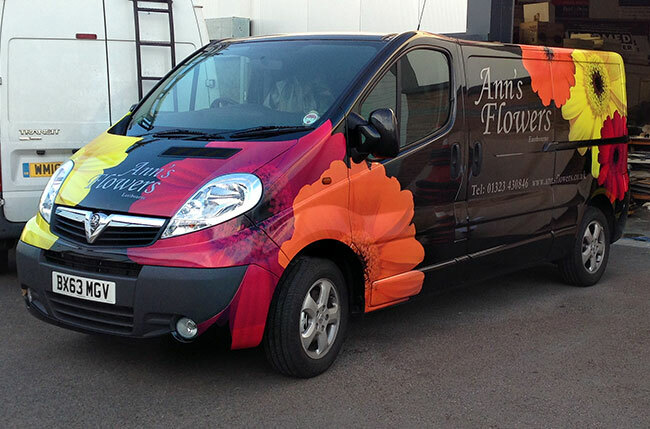 We have designed and wrapped two Luton vans for them, and they are seen all over East Sussex. We also designed their logo. 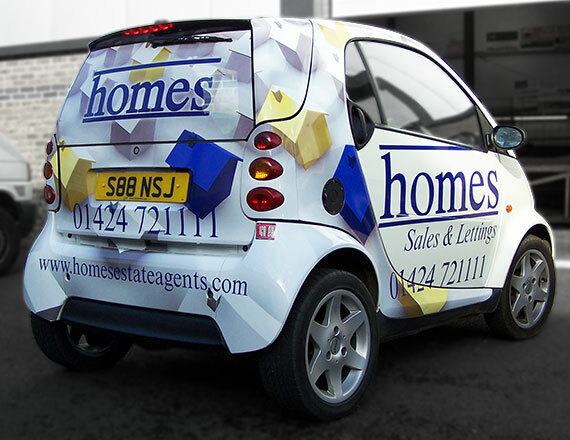 You may have seen this Smart car wrap in Hastings. 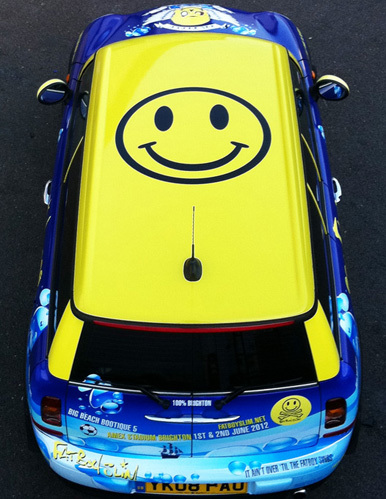 This is for an Estate Agent who wanted to stand out from the competition. 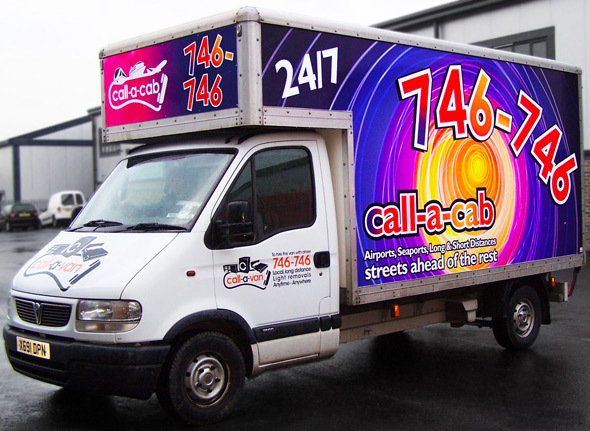 We wrapped this Luton van for Call a Cab. 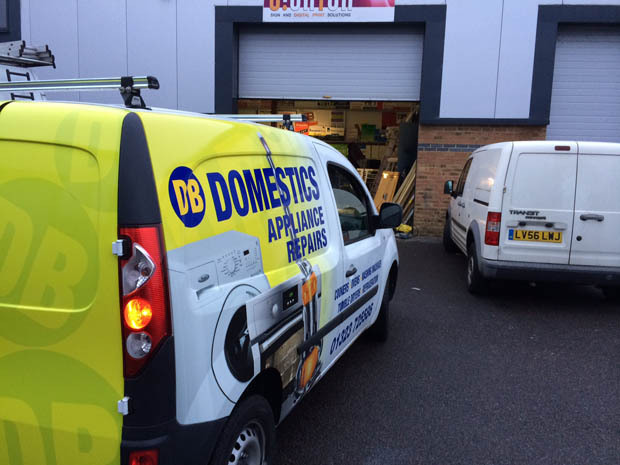 They were so happy with the results of the first van that we wrapped for them, that they came back for a second - their vehicle wraps are seen all over Eastbourne. 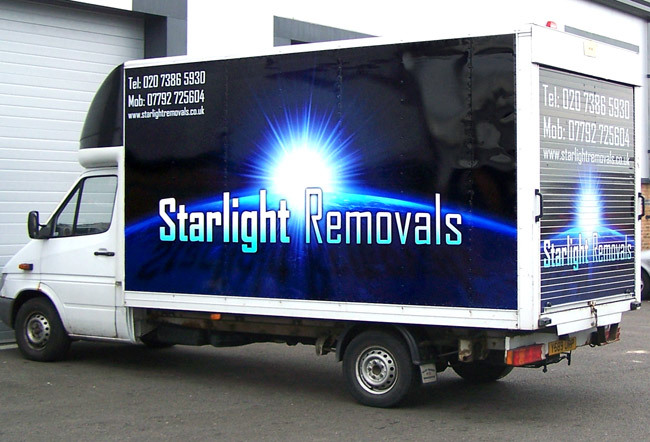 This is a full vehicle wrap for London based firm Starlight Removals. 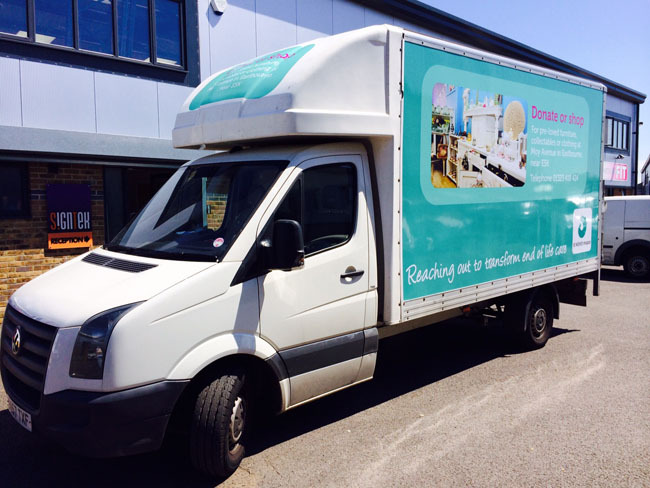 We were contracted to completely wrap 2 Luton vans, which will be seen all around London. 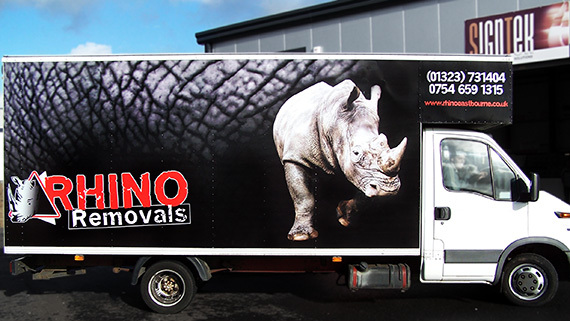 Vehicle wraps like this are an incredible show-stopping marketing tool! 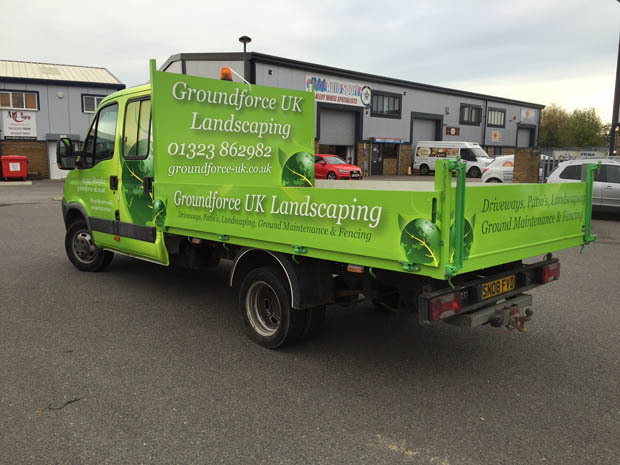 We designed and wrapped this vehicle in house at a fantastic price and fantastic quality. It's as simple as that! 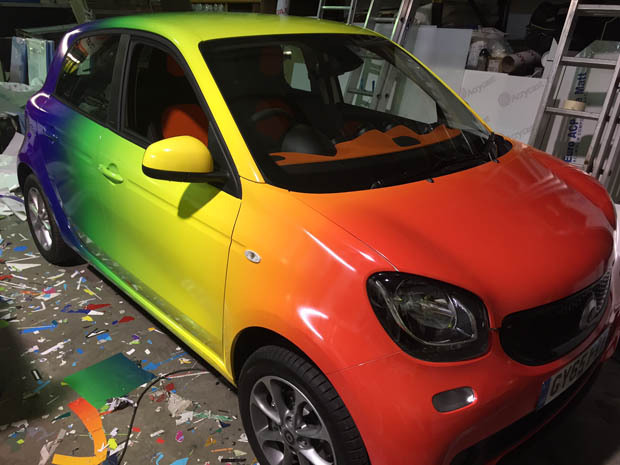 Cheaper and faster than re-spraying, long lasting but fully removable, a high quality vehicle wrap to change the colour of your car gives an incredible result. 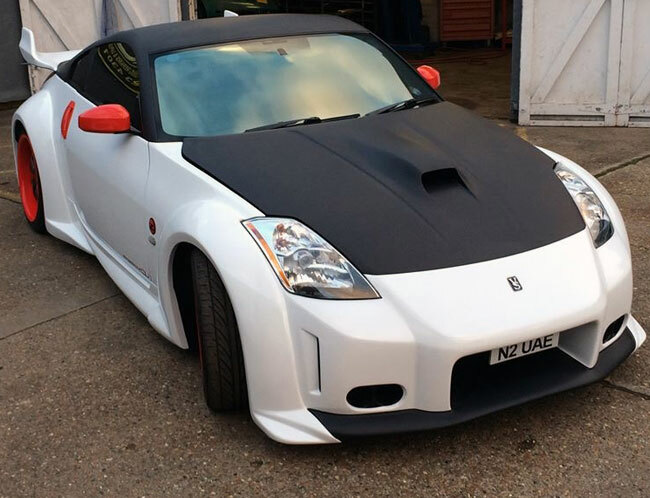 We have wrapped many cars around Sussex and further afield, and are a number one choice for this tricky but impressive procedure. 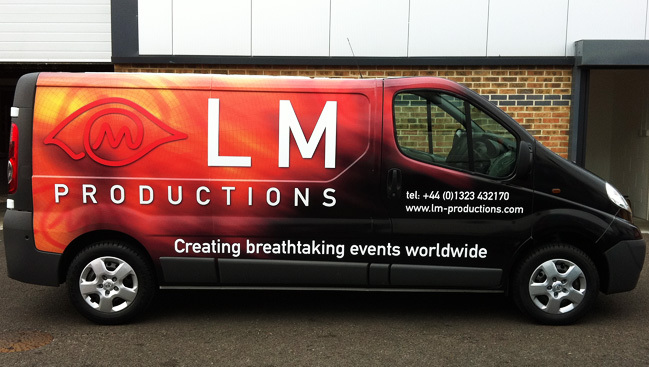 This is a Vivaro van for the worldwide multimedia exhibition company LM Productions. 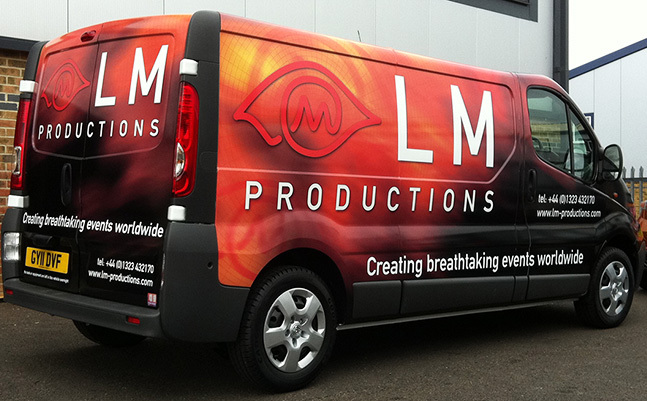 This is a Vivaro van for the worldwide multimedia exhibition company LM Productions. 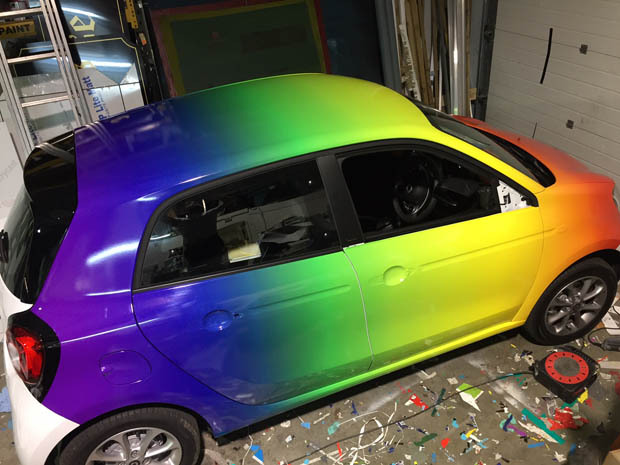 This has been fully vehicle wrapped in an eye-catching design.